After posting my husband’s grandmother’s book the other day I realized that I have my own favorite Christmas books. One of my favorite Christmas Traditions as a family is getting a new Christmas book every year. (We sometimes get more than one). I have a few that are my favorites. We received this book Christmas 2005. 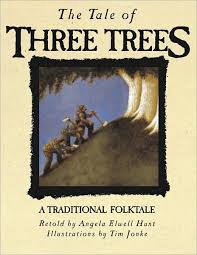 I had this book in my home growing up and was always such a beloved story. It is full of magic and faith. It gives you that little hope that you can believe in something bigger than yourself. I love that they made a movie and that I can watch the story unfold on screen while snuggling my children, drinking hot cocoa. 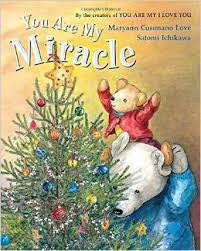 We received this book Christmas 2006, I also remember this story as a young 8 year old, though it was told long before that. It is a very spiritual story that really reminds you what Christmas is about. It makes me think that just because I’m not rich or famous I can do great and mighty things in my life. We are all special and have a purpose. That is why I love this book so much! We received this book Christmas 2014. This book is more recent and when I saw the Tabernacle Choir participate in this telling I was intrigued. I knew that I wanted the book and it needed to be a part of our Christmas Library. 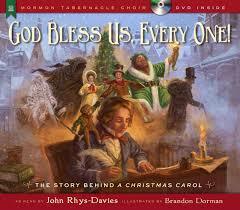 It tells the story of Charles Dickens and how his beloved story A Christmas Carol came to be. As a writer it inspires me, it makes me realize we have so much inside of us that we can share and even when life seems rough, there is always more out there, a difference we can make. 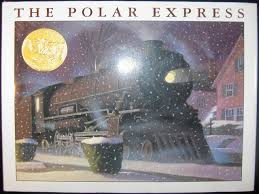 We received this book Christmas 2005 as a gift from my sister, we already had The Polar Express as our book for the year, but this one had to be added to the collection. This book may be my favorite. In 2005 my husband and I did not have any children, and had just been approved for adoption after a long process. We were excited and told that it could be a year or more. Knowing that we were waiting my sister gave us this book for Christmas. We all began to cry because we had just told my family that we were going to be parents. Our baby girl was going to be born within a few short days. In fact we were leaving the day after Christmas to drive to Washington to be at the hospital for her birth. Now a mother of 4 I cherish this book so much. In my bad, tired, lazy, grouchy mommy moments I remember how much I wanted children and how lucky I am to have my 4 little miracles. The book is amazing and I added pictures of the whole story so you can see just how amazing this book is. "I am your parent; you are my child. I am your quiet place; you are my child. ... I am your hush now; you are my lyrical. I am your peace on Earth; you are my miracle." I just love the words in this book. So special to me especially now having 4 kids and their little personalities that shine so bright. It is my favorite book to read them. I have so many more favorites, but these are just a few I love. Do you have a favorite Christmas story?